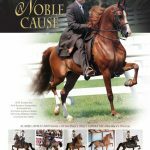 One of the Cedar Ridge Arabians’ stallions, A Noble Cause is by IXL Noble Express and out of the Afire Bey V daughter Sweet Summer Fire. 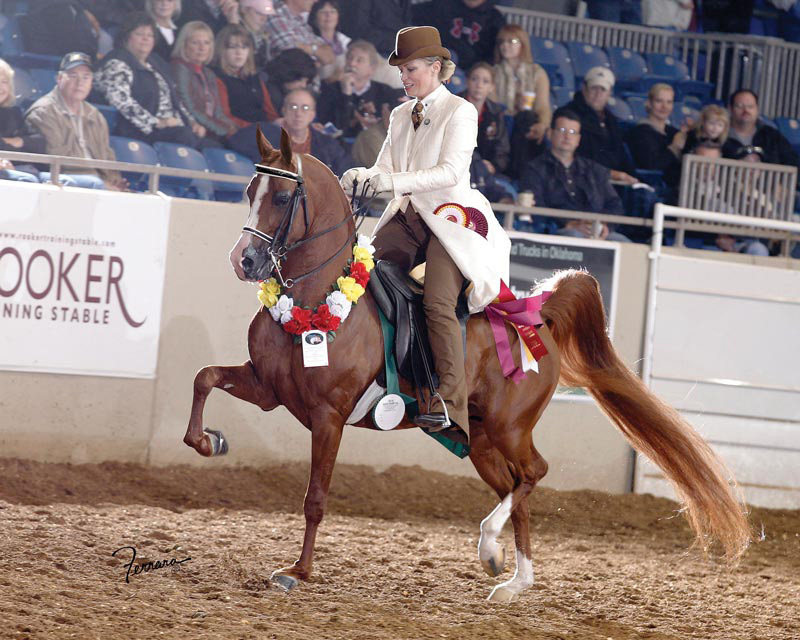 Born in 2003, the striking chestnut began his show career in 2008 and has since become a fixture in the winner’s circle. 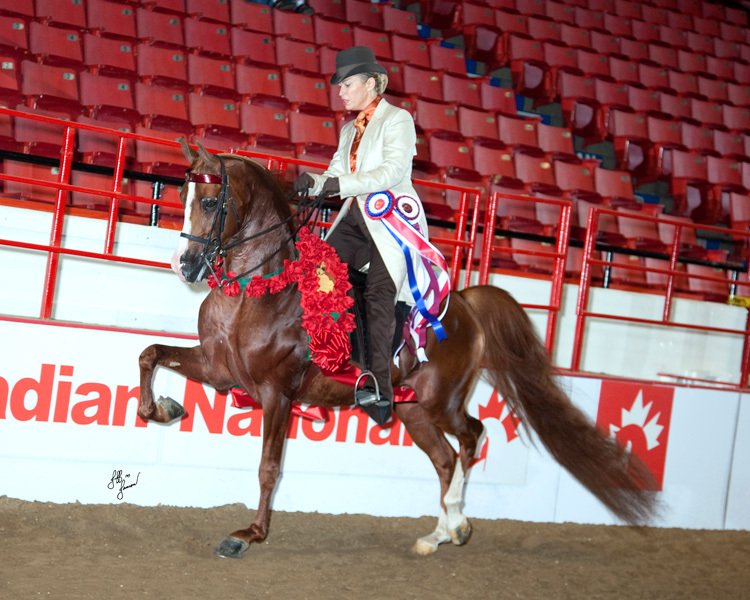 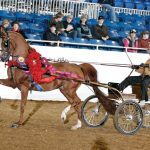 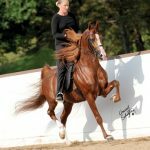 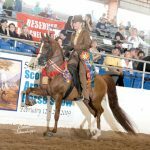 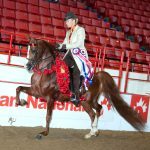 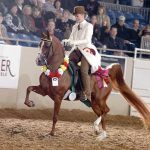 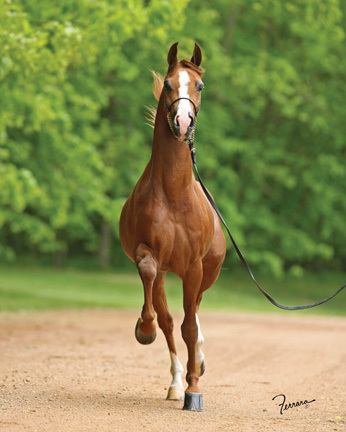 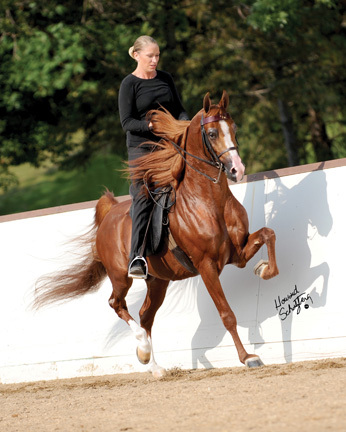 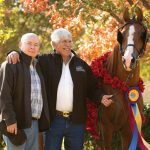 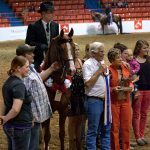 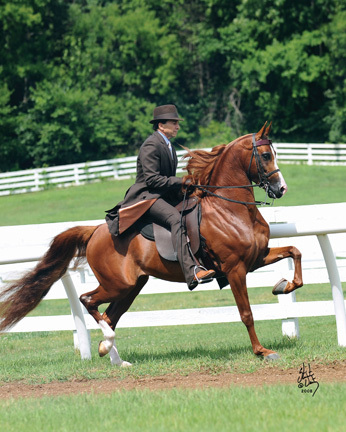 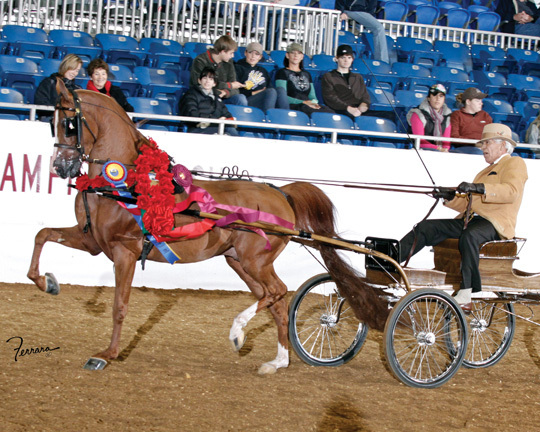 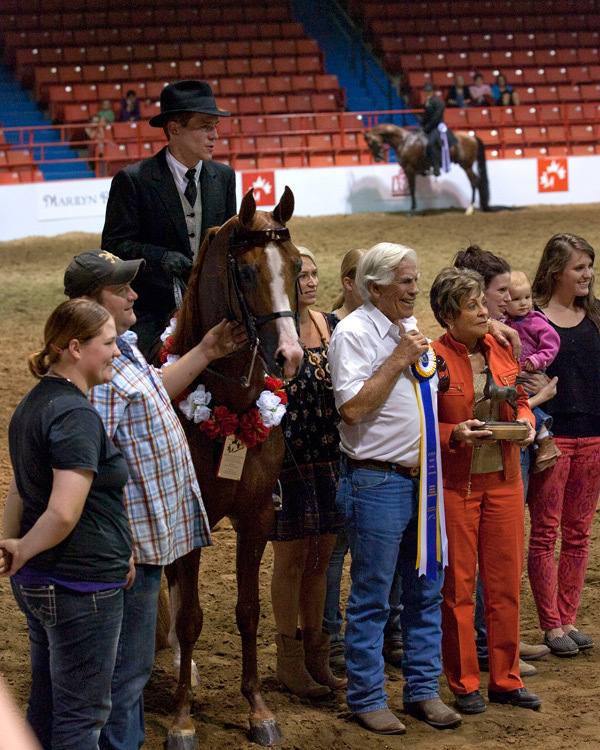 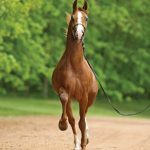 His titles include numerous regional awards as well as the 2008 Canadian Reserve National Championship title in both the Arabian Pleasure Driving and Arabian English Pleasure Junior Horse classes. 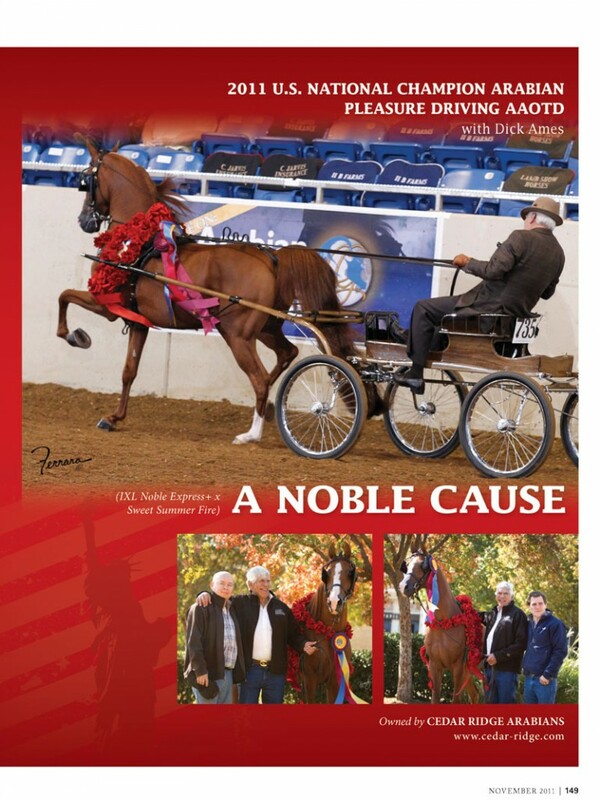 That same year, he was also a double U.S. National Champion, in amateur and open driving. 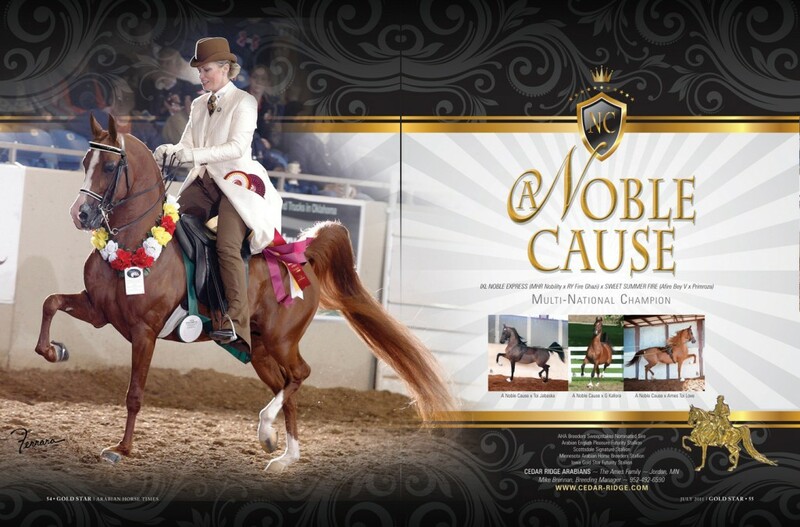 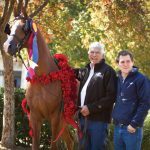 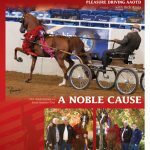 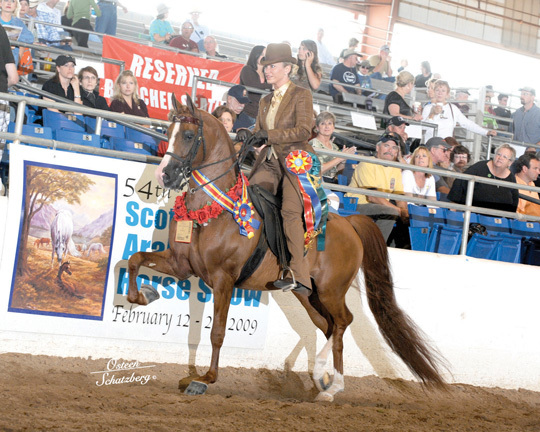 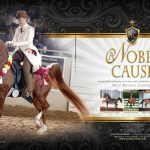 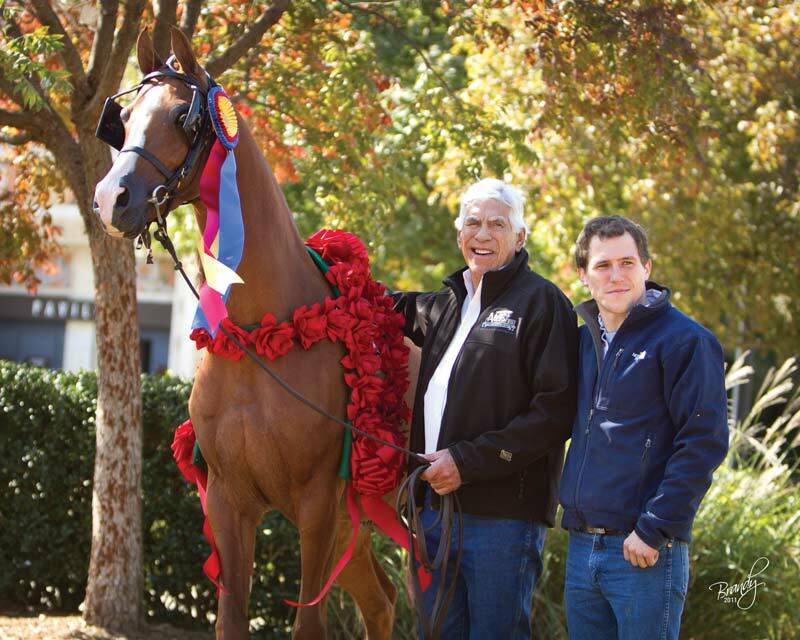 In 2009 A Noble Cause won the two Arabian English Pleasure amateur classes at Scottsdale and was again U.S. National Champion in the amateur driving class. 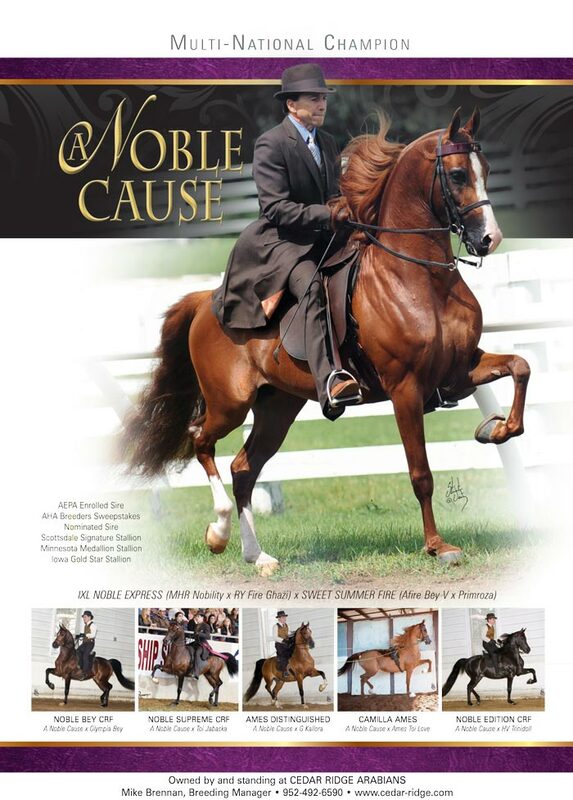 In 2010, A Noble Cause earned a championship and reserve championship at the Buckeye Sweepstakes. 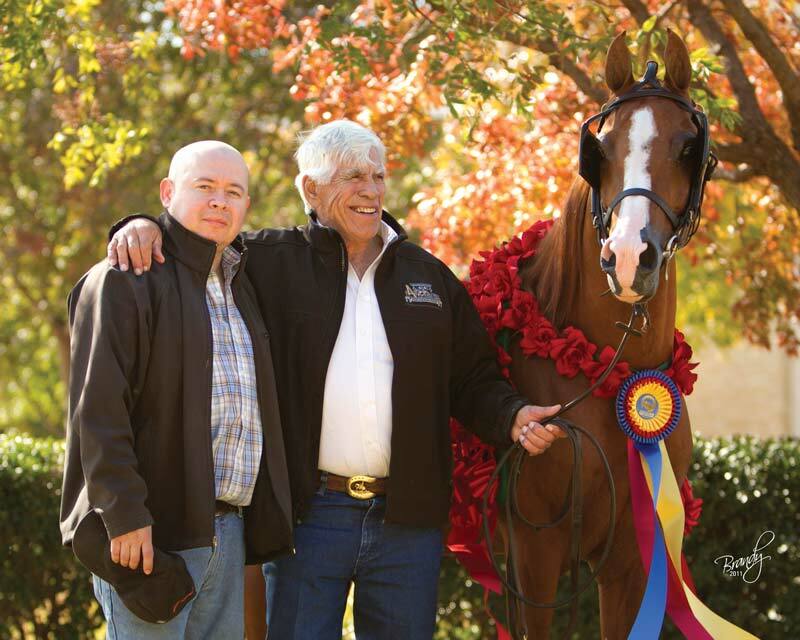 His first foal crop hit the ground in 2008 and he continues both showing and being used as a breeding stallion.